Although there is increased awareness for Advanced Care Planning at the end of life, funeral planning is often ignored and neglected. We often talk about planning for a good death, but what about a good goodbye, after death? The following guide can help you get your funeral planning in order and help your family when they need it most. Are you a senior living at home or in aged care? 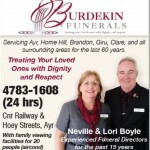 eziFunerals is pleased to offer a FREE and unique funeral planning service for seniors living at home or in aged care. We provide help and support to seniors Australia wide including Sydney, Melbourne, Brisbane, Perth, Adelaide, Hobart, Darwin and Canberra. Death is a subject that most of us don’t want to talk about and yet it is inevitable for all of us. We tend to avoid the topic as much as possible but talking about it with family and friends or taking the time to plan your funeral ahead could save us all from a lot of trouble. While most Australians want to die at home, only 14% do so, with 86% dying in a hospital or residential care. According to the Grattan Institute, about 70% of deaths are unexpected, with many people knowing when they are likely to die. Most of these deaths are likely to occur in an aged care facility. In a recent Australian Seniors Insurance Agency’s Circle Of Life Study, an online survey of 1000 over-50s, respondents attitudes to death and funerals were recorded. 82% think about their death at least occasionally or more. 79% are somewhat comfortable or very comfortable to talk about death and dying. 75% believe more conversation about death and dying is required. Only 17% are planning for their funeral in advance. 83% would like their family to be in charge of arranging their funeral. Less than 1 in 5 (19%) think it should be in the hands of the Funeral Director. 63% are worried about the emotional burden of the funeral on the family. 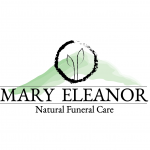 eziFunerals, has tailored a FREE funeral planning offering that provides a personalised service for seniors. eziFunerals understands the importance of providing end of life planning support and open communication with seniors living at home or in aged care facilities and retirement villages. eziFunerals works for you and your family, not the funeral home, allowing families to focus on what’s important rather that making arrangements at a time of great distress and, in a sales focussed environment. We can show you how to save thousands of dollars on average compared to contacting a funeral home direct. eziFunerals can work in close collaboration with your family or aged care facility. We will provide you with FREE and extensive knowledge of the funeral planning process. Family members are able to turn to eziFunerals staff to discuss any queries and find quick resolutions to any issues with the funeral. Are you an Aged Care Service Provider? eziFunerals is pleased to offer a FREE and unique funeral planning service for retirement villages, nursing homes and aged care service providers. We provide help and support to your residents and clients Australia wide including Sydney, Melbourne, Brisbane, Perth, Adelaide, Hobart, Darwin and Canberra. 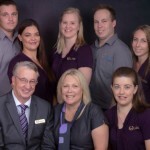 eziFunerals is pleased to offer a FREE and unique funeral planning service for your residents as a value-added benefit through a network of nursing homes, retirement villages and aged care service providers Australia wide including Sydney, Melbourne, Brisbane, Perth, Adelaide, Hobart, Darwin and Canberra. Your residents can now, for the first time save time, money and unnecessary grief by utilising eziFunerals FREE comprehensive funeral planning service. Our Funeral plans, whether at need or in advance, can reduce the stress residents and family face at a time of intense grief. eziFunerals customised funeral planning service empowers residents with the resources and planning tools they need to make informed decisions on difficult and costly issues facing their families at the end of life. This is a free service to your residents and families. There are no hidden costs or contracts with this service! It’s totally free! 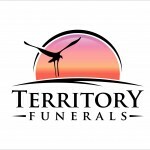 eziFunerals has partnered with some of the best family owned and independent funeral directors who are here to help your residents, family and staff before, during and after their time of need. They work for your families and not shareholders of publicly listed companies (Invocare and Propel Funeral Partners). We work together to ensure that your residents and families receive transparent information and the best possible standard of service at the most realistic cost. 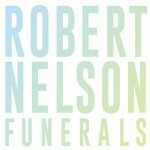 You’re residents and families are in total control and will get peace of mind knowing they are supported by Independent funeral homes that are here to help every step of the way. What can you and your residents expect from eziFunerals? What can your aged care service expect from eziFunerals? Making the decision to partner with eziFunerals is simple. Our funeral planning service can help grow your market share and differentiate your company from your competitors. Here’s why you should partner with Australia’s largest independent funeral planning benefits provider. By combining our experience, quality funeral home network and economies of scale with an innovative online funeral planning platform, we are able to provide a cost effective end of life benefit with maximum impact. It’s this impact that reinforces a positive image of your company in the market and the advantages and benefits of your services for your residents. Be seen as an Aged Care innovator. A quintessential ingredient to the success of Aged Care companies is having an effective resident benefits program in place. By improving your residents rating, you not only increase your attractiveness to future residents, you will also benefit from receiving good press coverage. We don’t just deliver our funeral planning services, we shout about it and we want your residents to too. Our sophisticated online communications system ensures that your residents are kept informed about all their funeral planning needs and staff are encouraged to participate in the conversation. Having a positive reputation will result in happy residents who can be your best advocates. They will promote the values of your company and its offering resulting in increased loyalty amongst their family and friends. As a specialist in Funeral Planning provider, our objective is to ensure the integrity and quality of your services is not compromised. Unlike other organisations, which are often affiliated with health, financial or insurance providers or sell their own products, we are unbiased in our identification and selection of your resident’s requirements. The result? A program which is 100% tailored to you and your resident’s needs.